Calling All Lash Specialists! We Have the #1 Bed For You! One of the most common requests we hear is from lash specialists looking for a comfortable bed to perform lash extensions on. 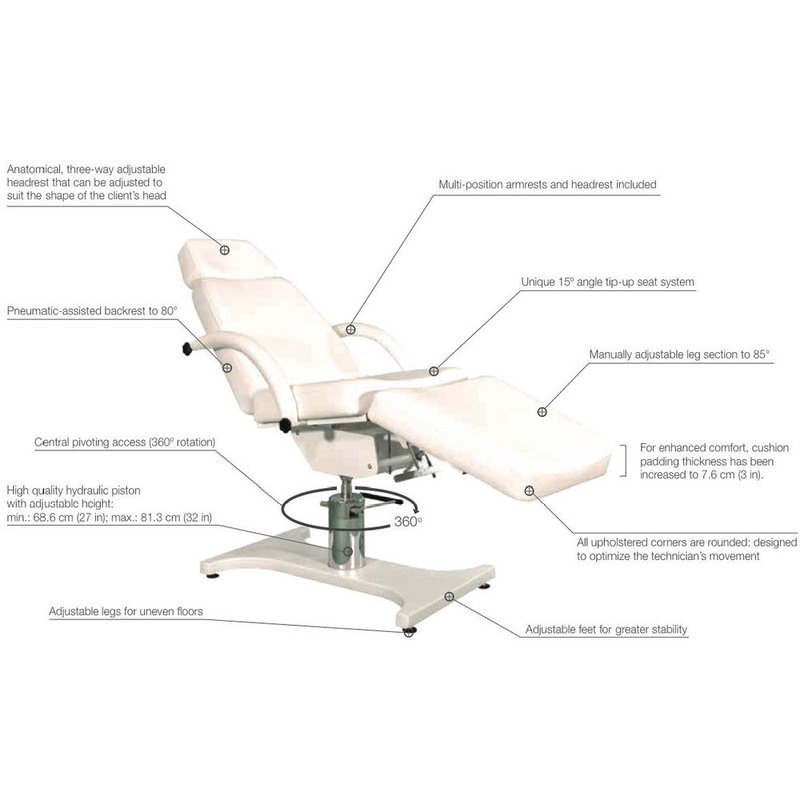 Many spa beds have inadequate room to pull your stool up under the client's head to effectively perform lash extension services without straining your back. 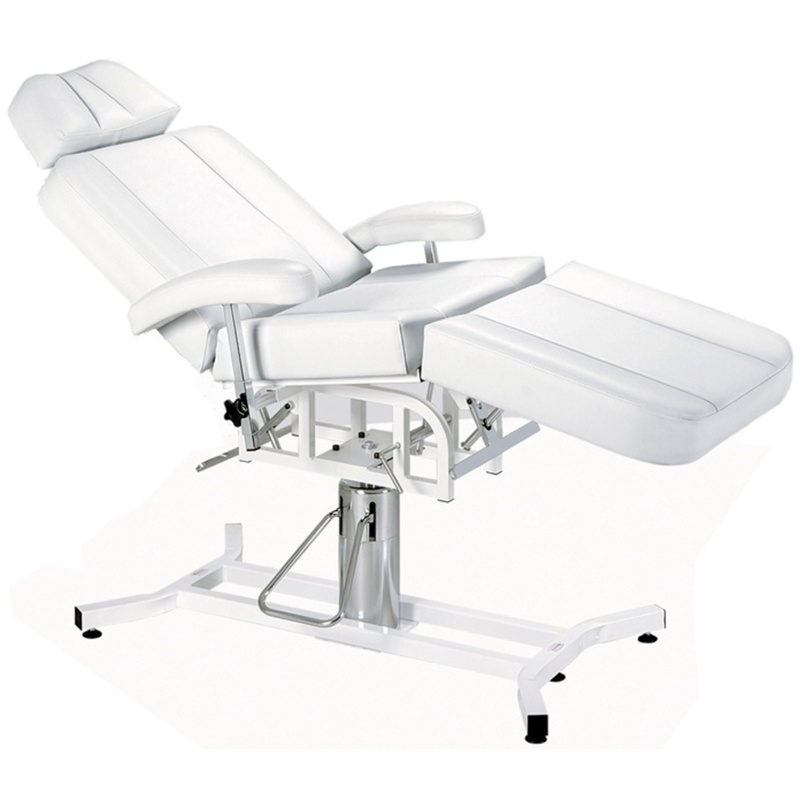 The Silhouet-Tone Soma Maldive Treatment Table is totally amazing for performing lash extensions! Reclining on the SOMA MALDIVE TABLE will produce an immediate feeling of relaxation, as you will be transported to a world of luxury. 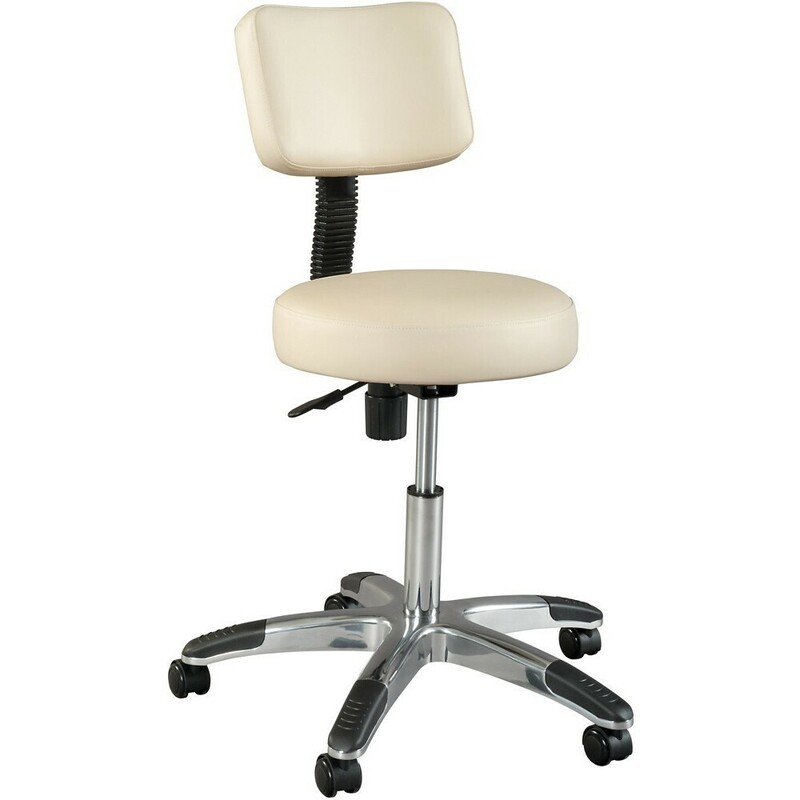 By combining simplicity, comfort, and durability, the SOMA MALDIVE will bring harmony and balance to your salon. Crafted from the finest wood, this chair embodies elegance and warmth, complementing and even enhancing any setting. 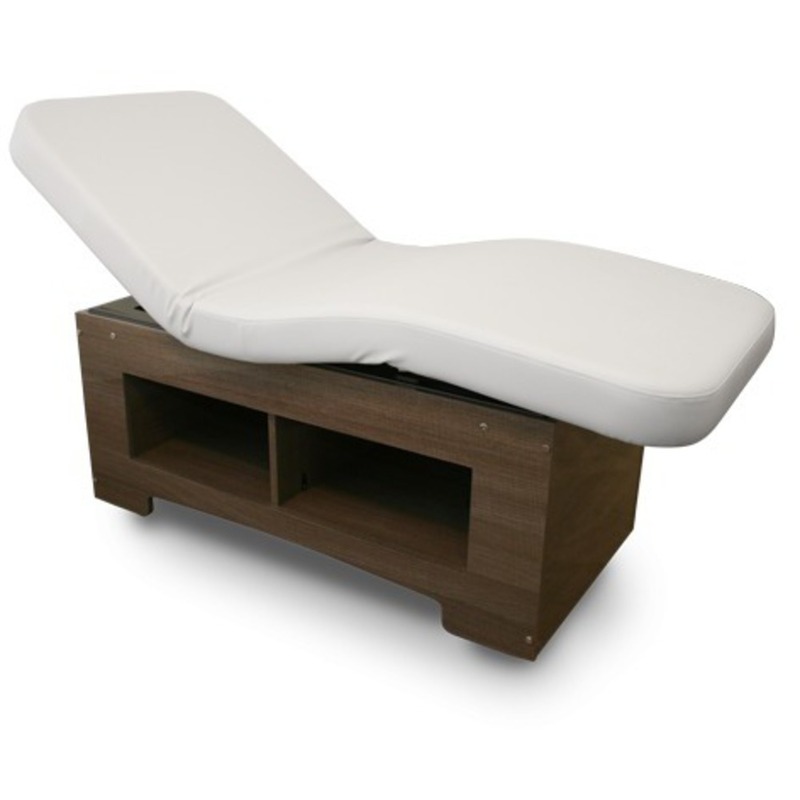 Made entirely from yellow birch, the SOMA MALDIVE is a sturdy and stable bed that is perfect for performing facials, lash extensions and massages, as well as other spa and body treatments. When I get a facial, I am always so amazed by how clean my skin is! Quite simply, during a facial, you are getting a clean that you simply can't get at home. What are you using to achieve this deep clean? One of the best, most effective ways to clear out the pores is with suction! A vacuum is used just like a household vacuum. It cleans the pores by suctioning out the embedded dirt and oil. While the suction cleans, the vacuum provides a penetrating massage and stimulates blood flow. The spray is used to flush out these freshly vacuumed pores, to thoroughly clean the surface of the skin. The spray can be used with water to rinse, moisten, or soothe the skin. Also great to use with products! Interested, but on a budget? Take a look at the Encore Table Top Vacuum / Spray Two Function Machine! At this low price, after use in 2 services, it is pure profit. However, my top pick is the Silhouet-Tone Cirrus Vac Spray! 1 blackhead cupping glass: to loosen comedones in difficult areas like the nose, chin, and ears. It's used prior to manual extraction. 1 anti-wrinkle cupping glass: increases blood circulation; oxygenates the skin and stimulates cell nutrition. 1 facial massage cupping glass: provides intense oxygenation of the skin through blood and lymph circulation. Ideal for eye treatments. Want to see some more options, click here! No matter what you choose, this is proven to be an effective unit to provide a deep clean, and boost client satisfaction! Looking for a classic bed that will last? Pure Spa Direct has got you covered! I speak to a lot of businesses that are just starting out and want the basics. Typically, they have purchased an inexpensive bed elsewhere and are unhappy with the quality. Save yourself the frustration and spend a little more for something that will last! Check out my top 3 picks! 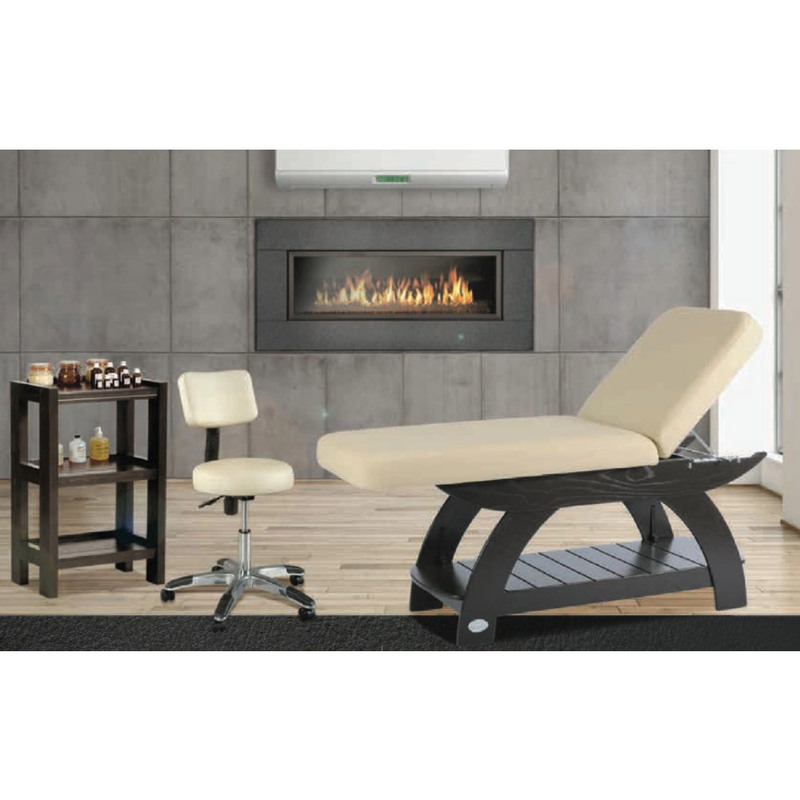 The Maxi Comfort is ease of access for face and neck treatment and also has backrest cushion with lumbar support. It also features ultra-resistant vinyl. A great choice for body treatments, electrolysis, facials, injections, laser, makeup applications, waxing, and more! This unit rotates a full 360° when working space is limited and is designed for years of comfort and maintenance-free use. 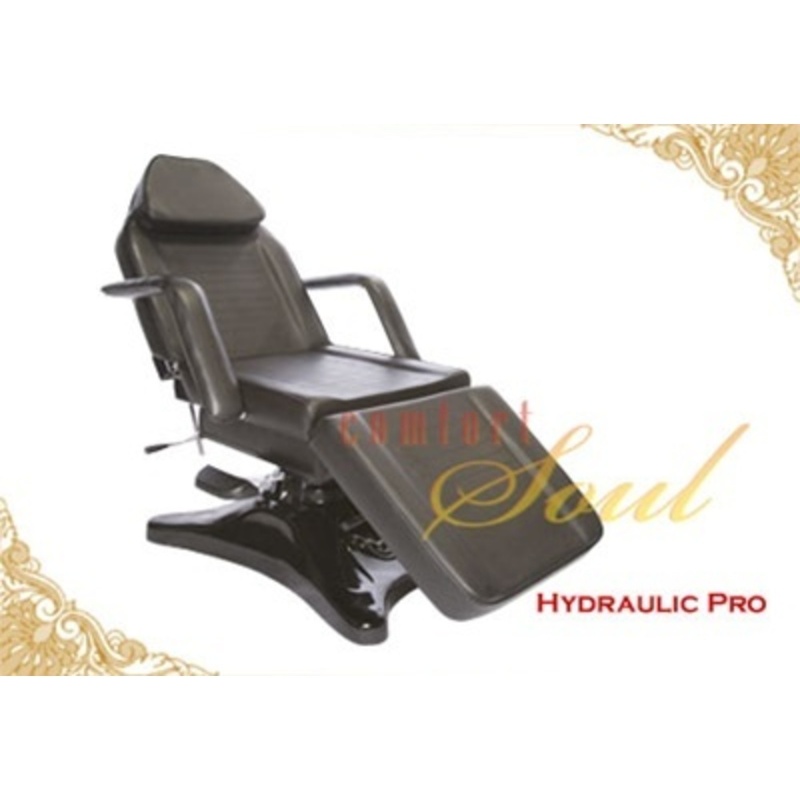 The Hydraulic Pro is one of our most popular chairs. This amazing unit swivels 360° on top of a heavy-duty hydraulic pump. 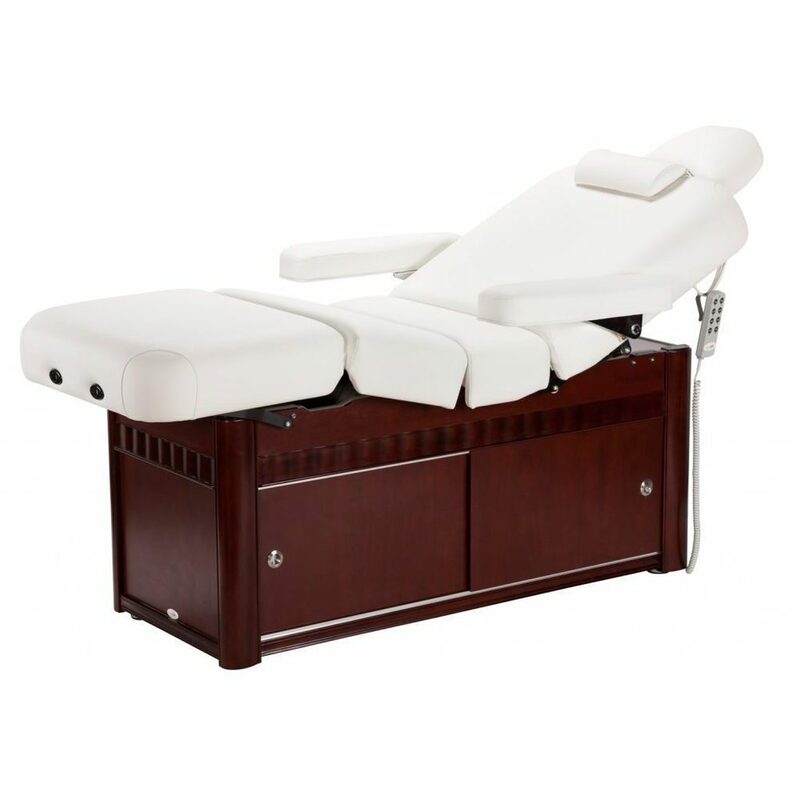 Functionality and Dependability Meets Comfort in the Murano Spa Table! I love speaking with our clients and figuring out what equipment and furniture is going to best suit their business! 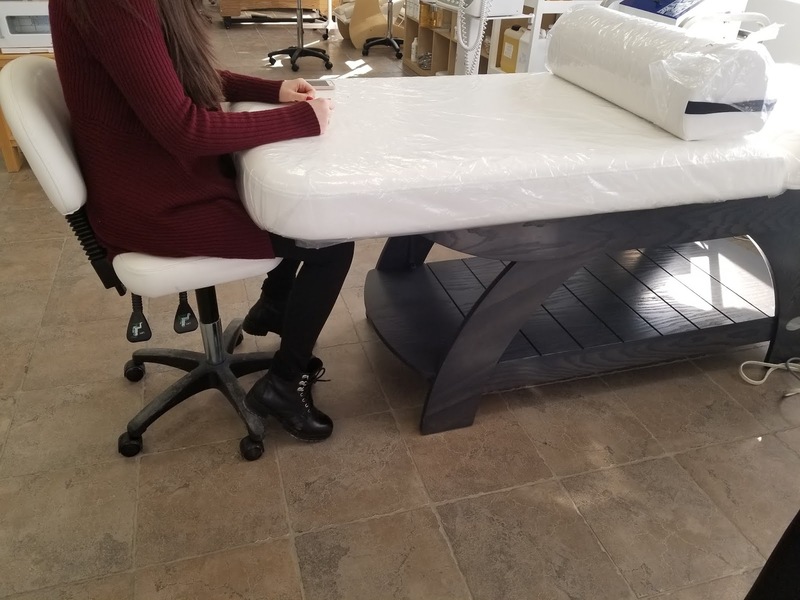 Many clients have recently been looking for the comfort and functionality of a spa bed, but the clean lines and storage space of a medical bed. For those looking for something rich and functional, I always suggest the gorgeous Murano Electric Spa Table! The MURANO Electric Spa Table by Equipro makes a rich, helpful and dependable addition to any spa, salon or therapeutic practice. It is ideal for facials, waxing, body treatments and massage. The fully electric MURANO, with its 4 cushion design, multiple headrests, bolster and armrests offer an amazingly configurable table. The thick padded cushions offer luxurious comfort. 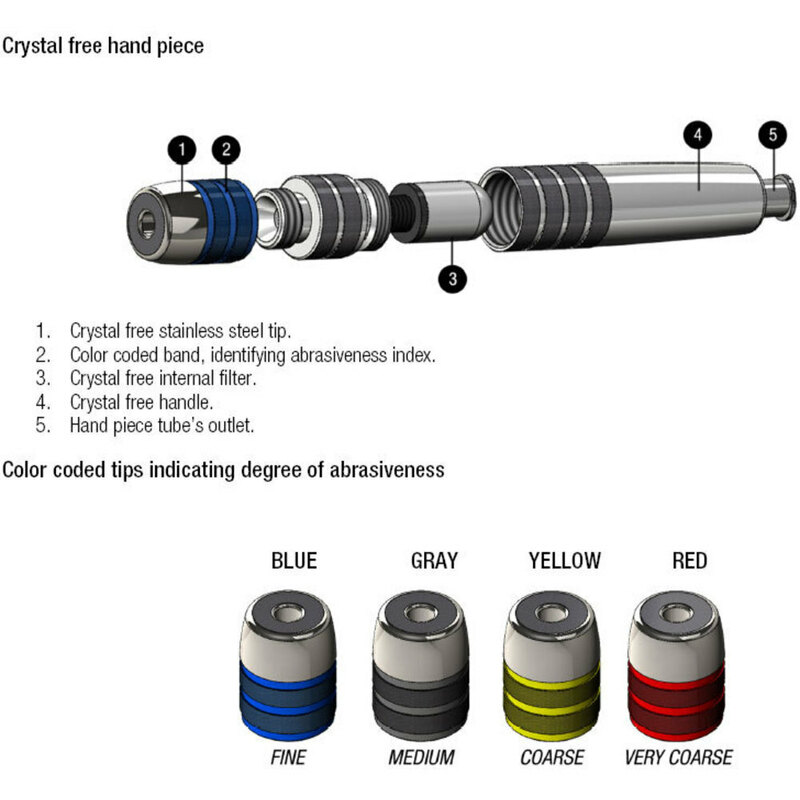 The motors are essentially noiseless allowing you to change configurations without disrupting the serenity of a treatment. Powered adjustments are controlled by a handheld remote. The bottom wooden storage compartment offers incredible stability to the table as well as ample space for towels, equipment, products and more. Don't forget - Pure Spa Direct also offers a great financing option, which can help you get into the furniture and equipment that is right for YOUR business! Check it out online here: https://www.purespadirect.com/financing or call us with questions (800-434-0018) today! Are you short on space in your location? We just added a fantastic new cart from Equipro that will help you maximize your vertical space! From the massage room to facial room to salon, the TS-4 Tall Trolley Utility Cart with 4-Shelves + Cabinet is a great addition to your spa or salon. 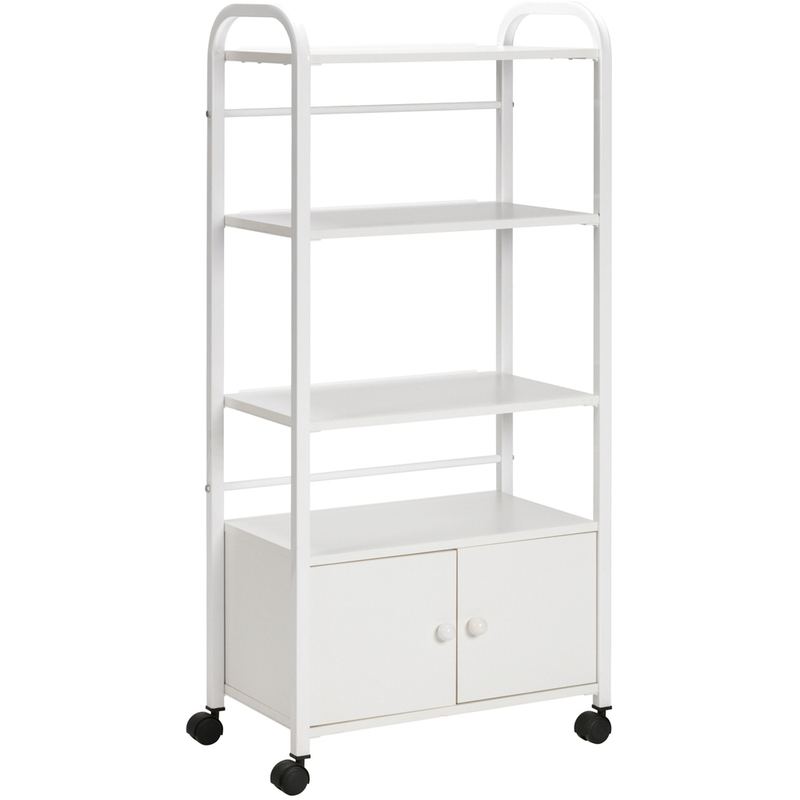 Featuring a minimalist style, the cart has 4 large shelves and ample closed storage. Easily roll the cart from room to room on the 4 casters. Thanks to the neutral clean white finish, it will look great with any color scheme. Partial assembly is required. Shelves spec: 14" x 23"
Don't Let Your Clients Be Dull! Upgrade to a Silver Peel! 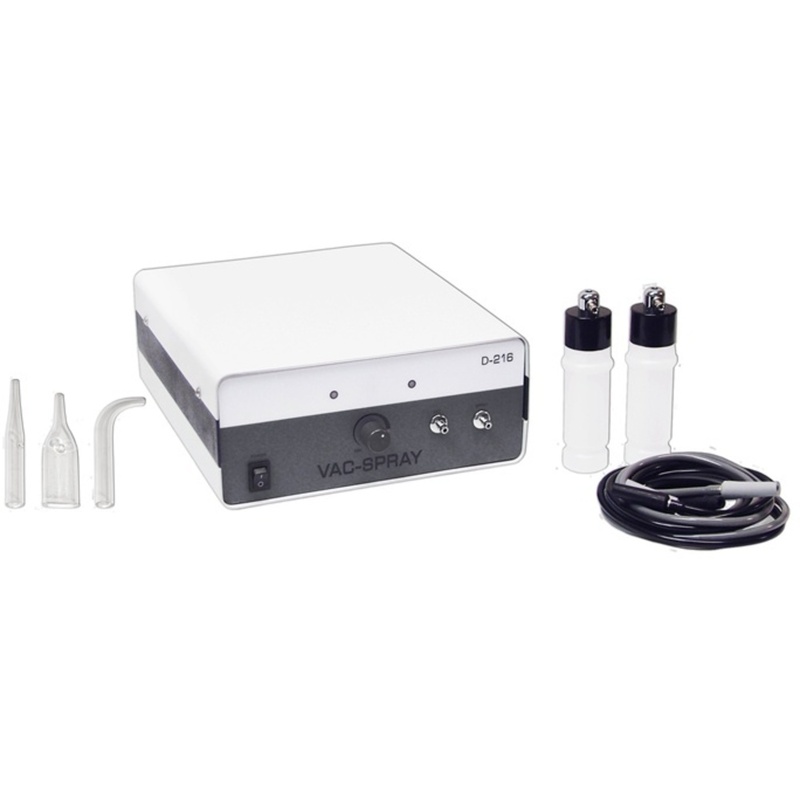 Are you looking to upgrade your microdermabrasion unit? 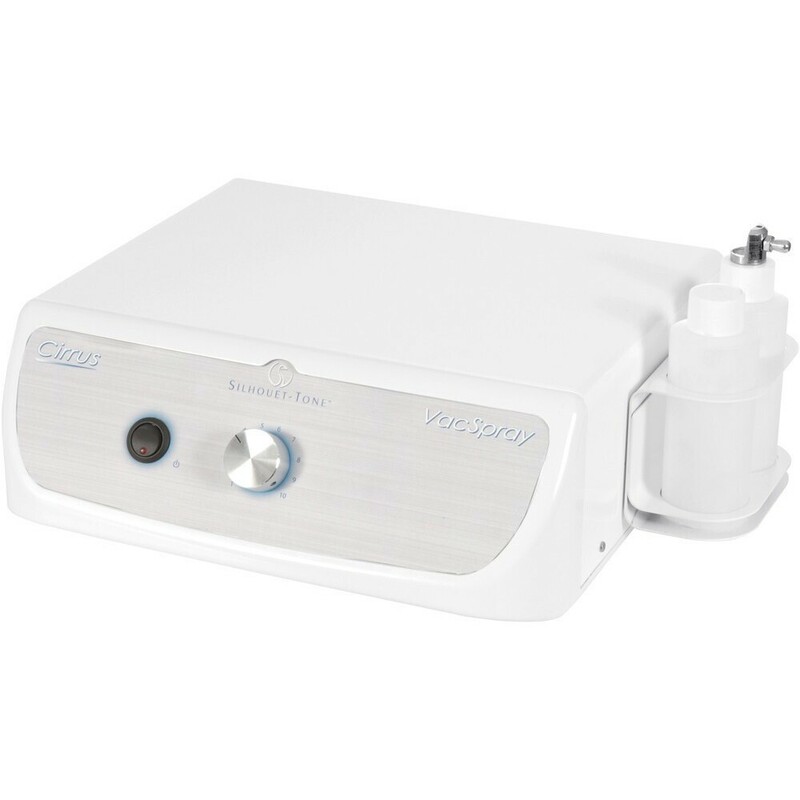 Pure Spa Direct has the perfectly affordable, effective, and reliable unit for you! 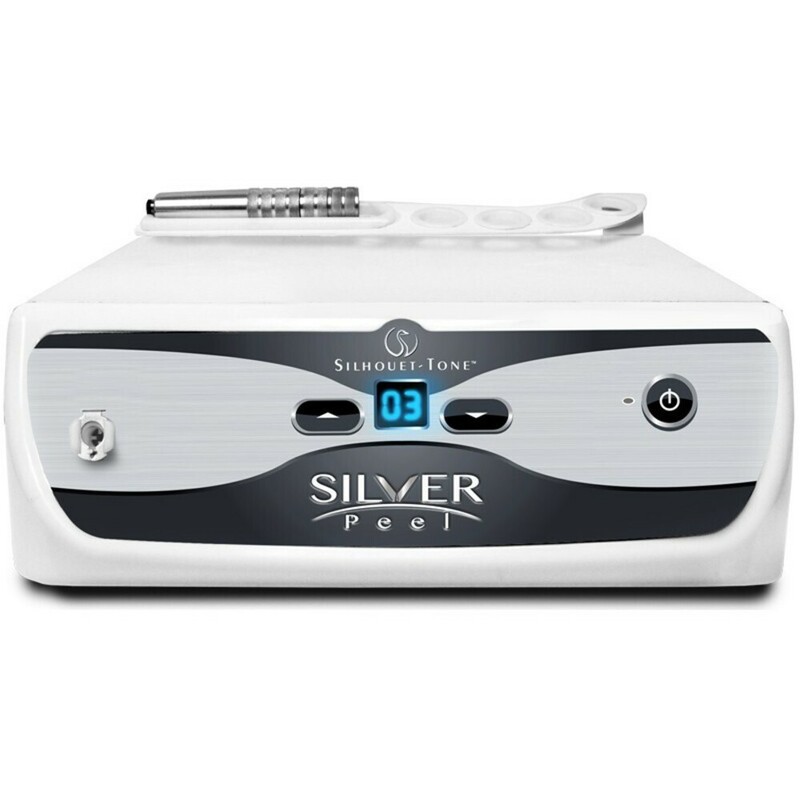 The Silver Peel is a crystal-free microdermabrasion device aimed at professionals seeking an advanced, but affordable unit offering optimal cost-efficiency based on minimal consumables.